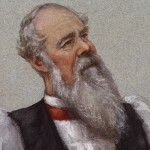 J.C. Ryle Sermon :: Do You Believe? “God so loved the world, that He gave His only begotten Son, that whosoever believeth in Him should not perish, but have everlasting life.” – JOHN III. 16. Look at the well-known text which heads this page. Its words are probably familiar to your ears. You have very likely heard them, or read them, or quoted them, a hundred times. But have you ever considered what a vast amount of divinity this text contains? No wonder that Luther called it “the Bible in miniature!” -and have you ever considered what an immensely solemn question arises out of this text? The Lord Jesus says, “Whosoever believeth shall not perish.” Now, reader, DO YOU BELIEVE? Reader, the question before you is no easy one to answer. Think not to thrust it aside by the off-hand answer, “Of course I believe.” I tell you this day that true belief is no such “matter of course” as you suppose. I tell you that myriads of Protestants and Roman Catholics are constantly saying on Sundays, “I believe,” who know nothing whatever of believing. They cannot explain what they mean. They neither know what, nor in whom, they believe. They can give no account of their faith. Reader, a belief of this kind is utterly useless. It can neither satisfy, nor sanctify, nor save. I. God’s mind towards the world – He “loved” it.